I avoided growing leeks for years because I thought they looked difficult in all the books – a tricky vegetable, involving more than sticking a seed into the soil. So, taking my own advice (for a change), I avoided growing them and anything else that looked remotely challenging. 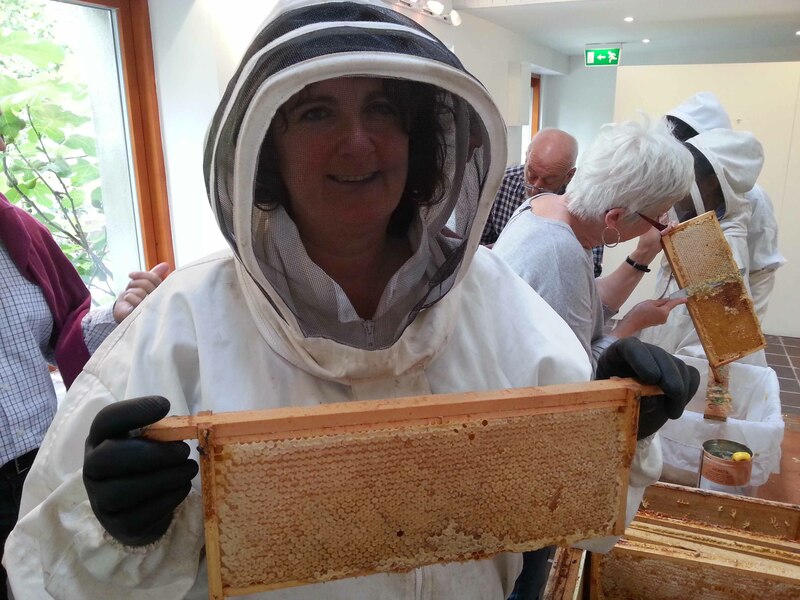 However, after a time, I felt a bit braver and had a go. Surprise…. leeks really are very easy to grow and they’re great for filling in the so-called hungry gap that gardening books often refer to – the time of year when nothing much is growing outside. They make delicious soups and stir fries and children often prefer the more delicate flavour. They’re also full of vitamins: folates, B vitamins, calcium, iron, potassium and magnesium. Depending upon which variety you choose, you may have to dig them up before the first severe frost as they can freeze solid, then go soggy and slimy as they defrost in the ground. 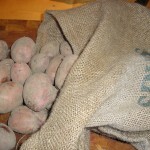 So, unless you’ve grown a variety you know is particularly hardy, harvest them if they’re mature enough – heel them in if you have the space, or slice, blanch and freeze them, ready to use whenever you need them. 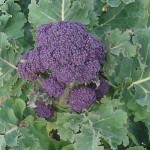 Varieties are available that can be harvested from late summer onwards, known as early, mid or late type. That just means that some take longer to mature than others. 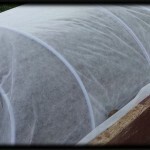 Living where we do I’ve tended to sow the hardier, later maturing varieties such as Siegfried, Musselburgh and Atlanta as they can all be overwintered. 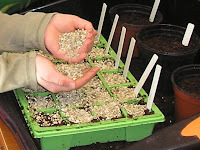 Seeds can be sown directly into the soil, but I find it easier to plant them into modules and transplant them – as they sprout they resemble fresh grass and can easily be mistaken for weeds. You can plant three or four seeds in each module about 1cm deep, either in fresh multipurpose compost or in special seed compost. 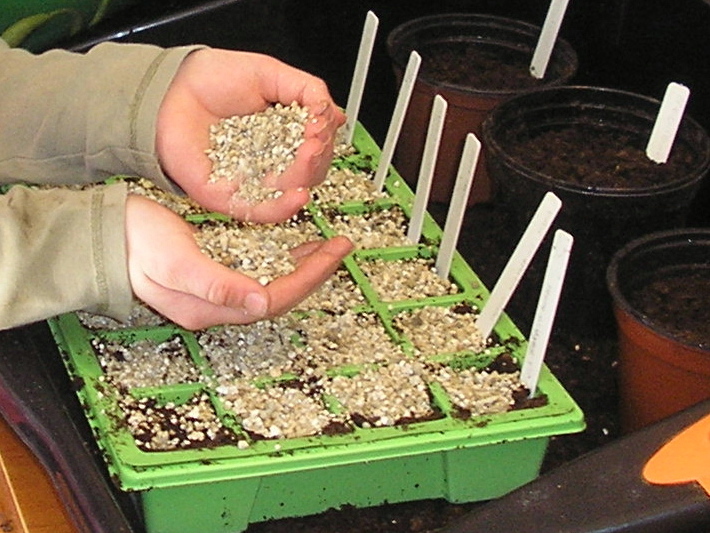 Unless you have a propagator when you can start them off earlier, sow them around March to April. Word of advice – sow lots! We never seem to have enough. If you like large leeks, leave them in the modules until they’re pencil thickness – about 20cm (or 8in) tall (this can take 10-15 weeks) before you transplant them. How far apart they’ll be spaced will also determine their size – the closer they are the smaller they’ll be, so if you like them big, plant them around 23cm (9in) apart each way. Now for the unusual bit…….. make a hole with a dibber (or I used to use a broken broom handle until I made one) about 15-20cm deep (6-8in). Drop the leek into the hole trying to avoid any earth falling into it (not always easy – depends upon soil type). Fill the hole up with water. 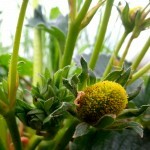 The earth will fall naturally around the stem. 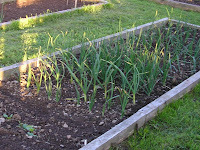 If dry weather follows your planting, water every day until the leeks have settled. Once they’re established leave them to grow, just keeping the weeds away from them, only watering if there’s a particular dry spell. Leeks are part of the onion family so you could rotate them around the beds with the onions. However, the onions will be harvested long before the leeks so I usually grow them with the Brassica family (the cabbages), as they take almost as long to mature! I’ve never had any problems with leeks (touch wood) but have been asked about leek rust (where rust-coloured dots appear on the leaves – usually in hot summers). Nothing can be done about this but there are resistant varieties. Look out for Walton Mammoth, Verina and Leek Apollo. Then just watch them grow and enjoy! The leek is one of the national emblems of Wales, worn along with the daffodil on St David’s Day. According to one of the legends, King Cadwaladr of Gwynedd ordered his soldiers to identify themselves by wearing the vegetable on their helmets in an ancient battle against the Saxons that took place in a leek field. To this day the leek is still an emblem worn as a cap badge by the Welsh Guards. Your leeks look amazing. Honestly, I still struggle every year to grow a decent sized one but grow them nonetheless as I love the flavor of a good leek. 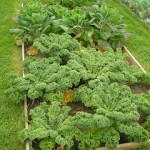 They overwinter surprisingly well if we get enough snow cover so I like to use them for early spring greens. I've had big and small leeks Mr H, so even knowing how to do doesn't necessarily mean success! I guess the three main things to remember are fertile soil, large transplants and buying varieties that are suitable to our climates. And grow lots!